If you thought biking down stairs was hard, try skating a stairwell – or better yet: don’t. At least not without this nifty device, that is. 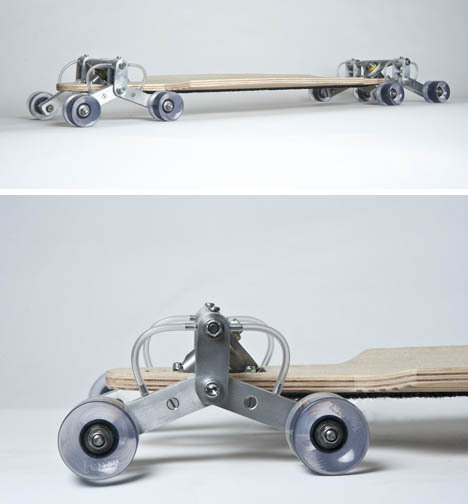 Designed by Po-Chih Lai (movie by Juriaan Booij), this next-generation skateboard slots an extra set of wheels alongside the existing ones with a flexible chassis to bend from one step to the next. 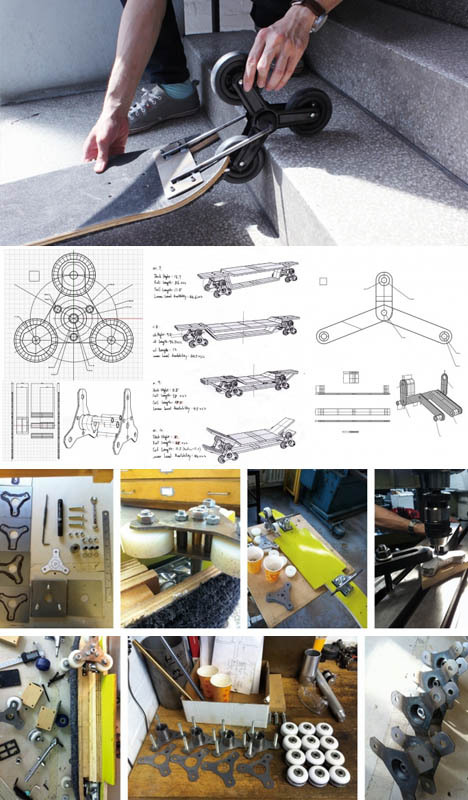 But such ideas are hardly born and built overnight – the prototyping process is in many ways as fascinating as the final design product, including various multi-wheel attempts to maximum stability and broad functionality. Its Context? 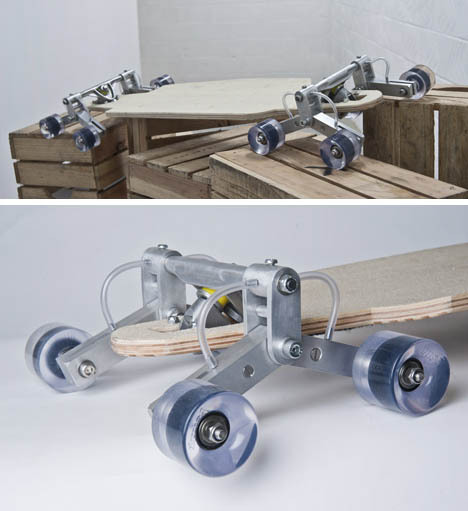 “The sub-culture of graffiti, free-running, skateboarding, street dance, and extreme sports are now accepted and a valid and valuable influence on our generation.” In short, with all of these becoming both accepted and broadly accessible, one could say the Stair Rover provides training wheels for the less adept – perhaps at least saving a broken leg or two, here and there. 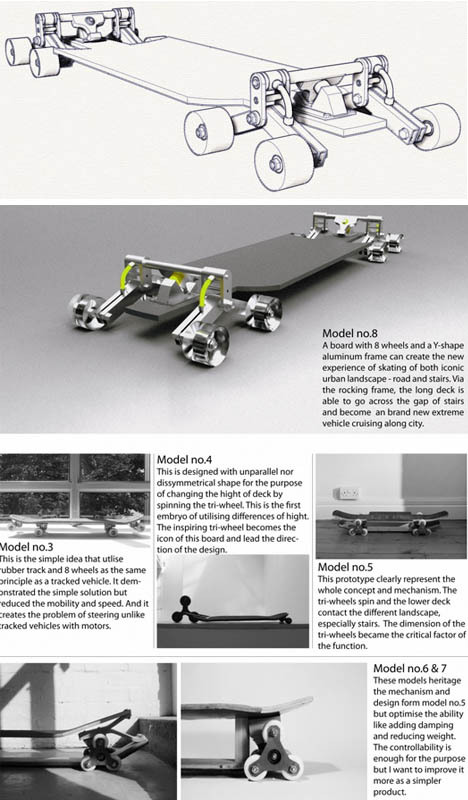 The machine is on display at this year’s Show RCA – its creator, a recent graduate of the Royal College of Art, hopes to expand the notion of skateboarding as well as the places that can be accessed by its practitioners – hopefully, pedestrians will understand.